Music Craft Group Classes are the ideal way for students who are doing AMEB instrumental grades to gain the necessary theory and aural knowledge required for the exams. Group classes will commence from Term 2 and will be taught by theory and aural specialist Marcos Gil. 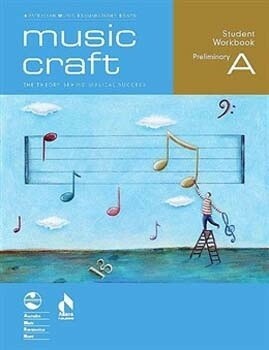 Please note students will need to purchase a copy of the Preliminary Book A Music Craft Books and bring to their lessons each week.